Rosie and the other 382 engines of her class were made in Iowa and Pennsylvania in 1942 and shipped to Britain in 1942. After the D-Day landings the engines were sent to mainland Europe to assist with the war effort. Sometime after 1945, Rosie made her way to Sodor. 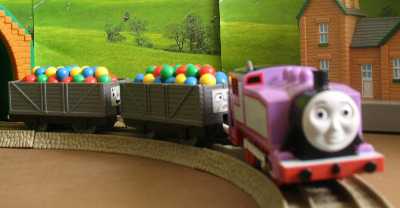 Rosie later helped Thomas shunt trucks until Hector frightened her away.